VANCOUVER — Baseball has Field of Dreams, football has Rudy and basketball has Hoosiers. The traditional indoor variety of the sport has been virtually ignored by Hollywood filmmakers, yet this weekend, as The Miracle Season gets its wide-scale release on movie screens throughout North America, B.C.’s tight-and-vibrant volleyball community can celebrate a heartfelt assist in helping the true story of an Iowa high school girls team reach the silver screen. 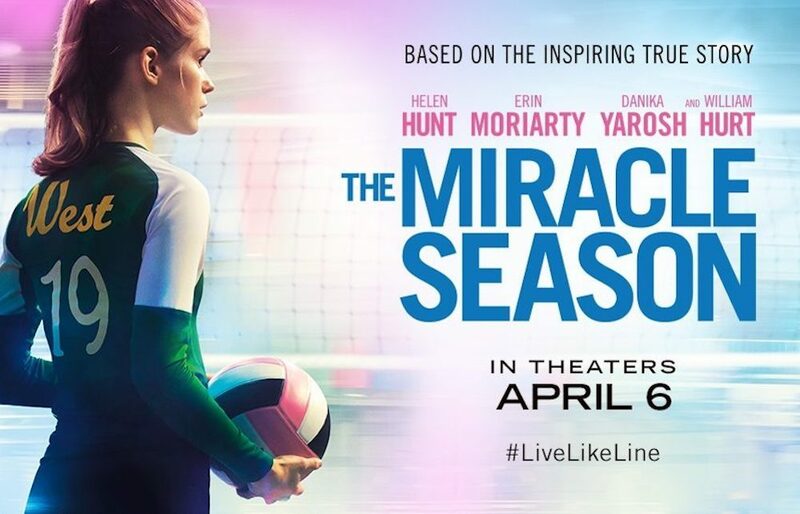 “It is something that is long overdue, and it makes me really proud to be a part of a film about volleyball that portrays a real team going through real struggles,” says Claire Hanna, 31, a former UBC Thunderbirds standout who served as the project’s volleyball consultant when filming took place throughout the Lower Mainland and Fraser Valley over the summer of 2016. When it comes to sports hotbeds in Canada, B.C. can lay a particular claim to volleyball. It’s a place where a girls and boys high school programs are amongst the best in the nation, and where since the turn of the century, university dynasties have been built in both the women’s game by the UBC Thunderbirds and in the men’s game by Langley’s Trinity Western Spartans. Hanna, a Calgary native who later earned a spot on the Canadian national team, placed herself directly in the heart of that delivery system, leaving home in 2004 after talking UBC head coach Doug Reimer into giving her a tryout. By the time she left the Point Grey campus, she was a three-time CIS national champion determined to carve out a career in broadcast journalism. Yet after a stint in Edmonton as co-host of City TV’s daily Dinner Television show, Hanna found herself out of work in March of 2016. “I didn’t know what would happen, but I was looking for a job in the broadcast industry, so I posted on-line how I had been laid off,” remembers Hanna. 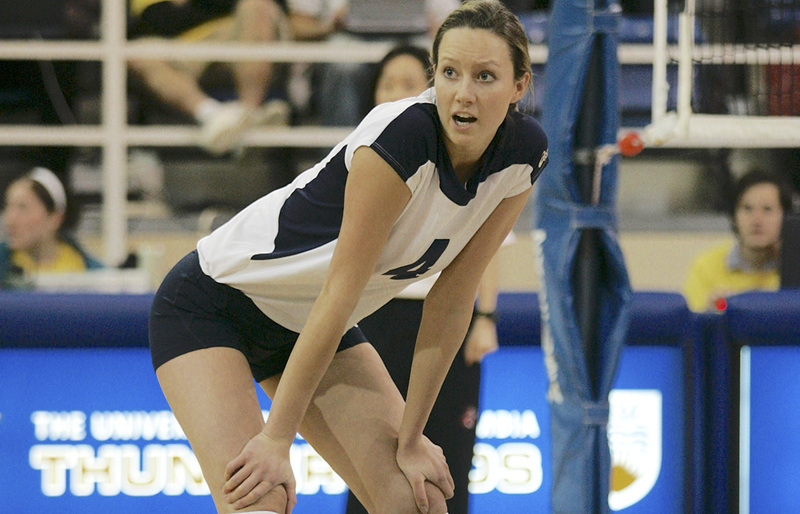 It wasn’t too long before she got a text from former UBC women’s assistant coach Leah Allinger, advising her that a U.S.-based production company, through Volleyball B.C., had put out the word that they were looking for a so-called volleyball expert to serve as a consultant for a movie which would soon begin shooting in the Greater Vancouver area. Hanna, who would move back to Vancouver for the start of production that summer, then immersed herself in the script for The Miracle Season, starring Academy Award winners Helen Hunt and William Hurt and based on the true story of the Iowa City West high school girls varsity team and its chase of a state title in the wake of the August 2011 passing of its star player and captain Caroline Found. Hanna says the post was shared over 600 times, and that parents of players from as far east as Ontario contacted her and were willing to fly their daughters out to Vancouver for the auditions. The task was to find extras who were not only at home on the volleyball court, but had enough natural acting ability that they could carry that realism into off-court settings like the team room and school cafeteria. This past Wednesday, just prior to a special advance screening of The Miracle Season at the Colossus Cinema in Langley, the members of the Trinity Western Spartans women’s volleyball team, several of whom answered that Facebook casting call, were introduced to the rest of the theatre’s patrons. The actual volleyball actors would likely say they learned as much from the volleyball players. 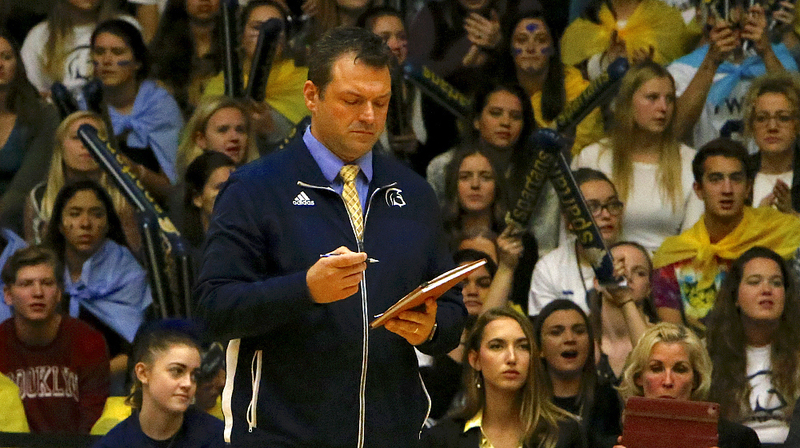 Trinity Western Spartans head women’s coach Ryan Hofer was also present at Wednesday’s advance screening, and although he’s now watched the movie, he admits he needs to see it again. Hofer, who has a non-speaking role, also did his best to make sure the film maintained its credibility, but admits he went a little too far one day when he noticed that Hunt, who played the role of Iowa City West head coach Kathy Bresnahan, was breaking the rules by crossing the substitution line to talk with a player while in the act of coaching. Realism was the goal, and to that end, Hanna played a huge role in the movie, working directly alongside Hunt. As Hanna admitted later, it was perhaps the most impactful moment she experienced over the course of the summer. And thus with a largely B.C. crew of volleyball extras, filming at local high schools and at UBC’s Doug Mitchell Arena, it was lights, camera, action. The Miracle Season is a story of triumph but also one of sorrow. And at one stage of the production, TWU’s Bailey got a reminder of just how emotional a story she and the rest of her fellow cast members were helping to tell. Yet there was also another entirely different but essentially vital component to the film, and that was the way in which it captured the purpose of a group of young female student-athletes. 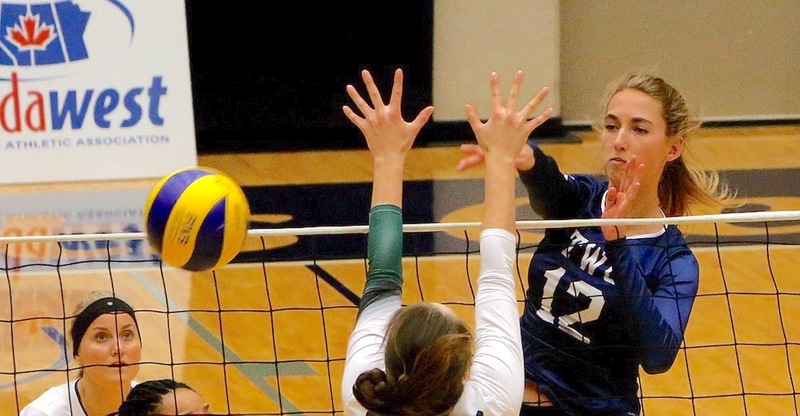 For Hanna, it was almost like she was back in War Memorial Gym with her former teammates prepare for a big Canada West weekend clash, even though she was standing on the sidelines. The energy, it seems, was so palpable, that one day during the filming, Hunt had a question for Hanna. “Helen had her daughter on the set almost every day,” begins Hanna, “and at the end of one of the days, she asked me if I knew anyone in L.A. with a volleyball background. The Miracle Season is playing at eight different theatres throughout the Fraser Valley and Lower Mainland, including New Westminster, Richmond, Coquitlam, Vancouver, Langley, Pitt Meadows, North Vancouver and Mission.